The good news is that we can now read Robert Feder's media blog for nothing. The bad news is that Feder—for the moment, at least—is now writing it for nothing, as the Tribune has stopped paying him a fee to put it behind its paywall. That was the deal the Tribune worked out with him in 2013: he'd write the blog, robertfeder.com, and the Tribune would guarantee him complete editorial independence, no matter how often he gored their ox. The Tribune would license and market it, and any money that came in beyond Feder's fee it got to keep. Feder would be premium content, an inducement to pay more and get more. He not only wrote stories contemplating the future of digital journalism—he was an example of how that future is supposed to work. In Feder's case, apparently it worked pretty well. The Tribune kept Feder outside the paywall his first year, and according to Tribune Digital analytics, the number of monthly page views rose from about 160,00 to more than 1 million. The number of page views naturally plummeted once visitors had to pay to be there, but last month there were close to half a million at the site. And yet on Thursday, Feder posted a note that began ominously, "Well, this shouldn’t come as much of a surprise: I’ve been troncked." His contract with Tronc, the inanely renamed former Tribune Publishing, expired at the end of August, and it wasn't renewed. "Officially," wrote Feder, "I was informed that this was done 'for business reasons.'" Feder had no more to say about those "business reasons," much less about why no one should have been surprised the Trib showed him the door. The balance of his brief message was devoted to thanking the Trib for the "unique opportunity" it had given him and his readers for their "loyalty and trust." His blog wasn't going anywhere, he assured those readers, and now it was free! But any reader scratching his head over the Tribune's reasons was unlikely to scratch long. Even though Feder refused to discuss any of this with me, my mind jumped to the obvious and irresistible conclusion: Michael Ferro now controls the Tribune—he's the one who believed Tronc Inc. was a fine way for the company to assert its 21st-century bona fides—and Feder has seriously disrespected Ferro. 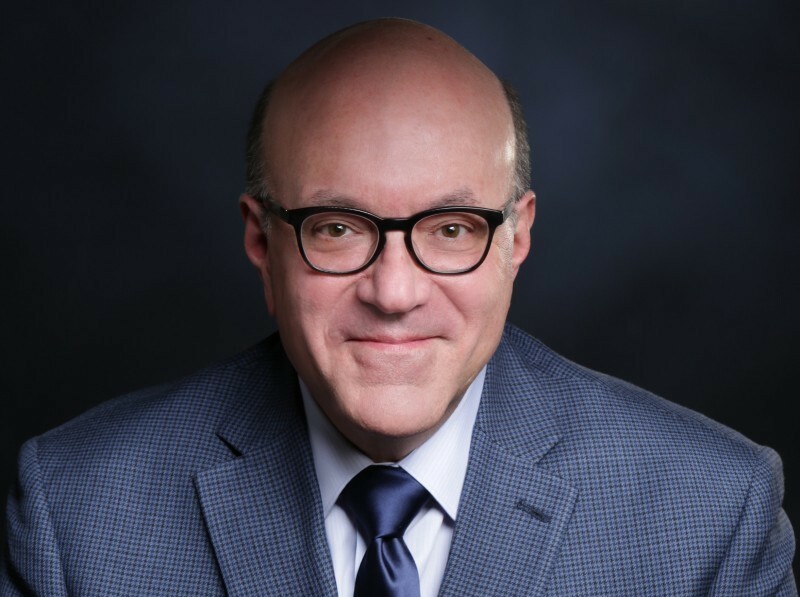 When Ferro was running the Sun-Times, Feder found reasons to call him a "charlatan and a phoney," and describe his exercise of power as "shameful and disgusting." But when Ferro took control of Tribune Publishing early this year, Feder didn't change his tune. For instance, in May he wrote: "If you want a good laugh sometime, check out michaelferro.com, the personal website of self-proclaimed 'tech entrepreneur and philanthropist' Michael W. Ferro Jr."
A few days later, a Feder post began, "How did we ever get from the 'World's Greatest Newspaper' to this? On Thursday, Chairman Michael W. Ferro Jr. changed the name of Tribune Publishing to tronc—yes, tronc—a move that engendered nearly universal revulsion and ridicule." Feder might have helped himself if he'd added that he, personally, thought "tronc" was kind of charming; instead, he called it "godawful." Feder is an exemplary journalist of our time—someone who keeps figuring out new ways to do what he does as the old ways disappear. In 1980 Feder and Gary Deeb, who'd been the enfant terrible TV critic at the Tribune, both joined the Sun-Times. Feder served as Deeb's yeoman sidekick until Deeb lit out for television in '83, and then Feder took over the beat. Where Deeb had specialized in two-fisted scorn, Feder focused on reporting, and over time acquired a reputation as the go-to source of breaking news on TV and radio in Chicago. But in 2008, the Sun-Times fast becoming a basket case, Feder left in a buyout and took his show on the road. He blogged a year for Chicago Public Media's Vocalo—which called him its blogging "superstar"—and for a couple of years after that he covered media for Time Out Chicago. In the spring of 2013 TOC stopped publishing a print edition. But that's when the Tribune came calling. Robertfeder.com continues, but for now on Feder's dime. "Whenever I finalize my next plan, you’ll read about it here," says his site. The change at the top of Chicago magazine's masthead is harmful for many reasons. Now disappearing behind a pay wall—Rob Feder! Will Rob Feder's readers follow him behind a pay wall?